Praised as singular (The Philadelphia Inquirer) and extraordinary (The New York Times Book Review), GraceLand stunned critics and instantly established Chris Abani as an exciting new voice in fiction. In his second novel, set against the uncompromising landscape of East L.A., Abani follows a struggling artist named Black, whose life and friendships reveal a world far removed from the mainstream. Through Blacks journey of self- discovery, Abani raises essential questions about poverty, religion, and ethnicity in America today. 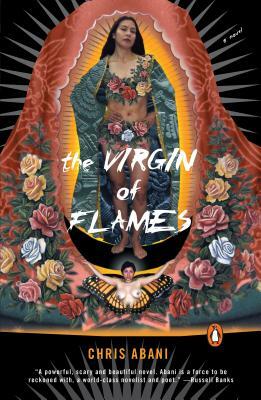 The Virgin of Flames, a marvelous and gritty novel filled with indelible images and unforgettable characters, confirms Chris Abani as an immensely talented writer. Chris Abani, author of GraceLand and Becoming Abigail, was born in Nigeria and has lived in London, New York, and Los Angeles. He is currently an associate professor at the University of California, Riverside.